Please enter the Repair Order Form Number* and the mobile number which was provided are the time of repair order creation. Please enter the mobile number with the country code (e.g. 971) in the same format as printed on the repair order form. 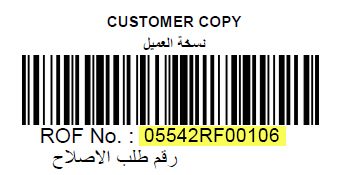 The repair reference “ROF No.” is printed below the barcode on the top right side of the repair order form. 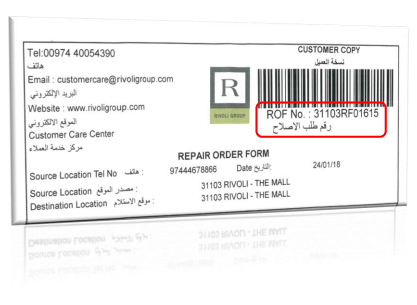 The repair reference “ROF No.” is printed below the bar-code on the top right side of the repair order form.